These people just don’t get it. 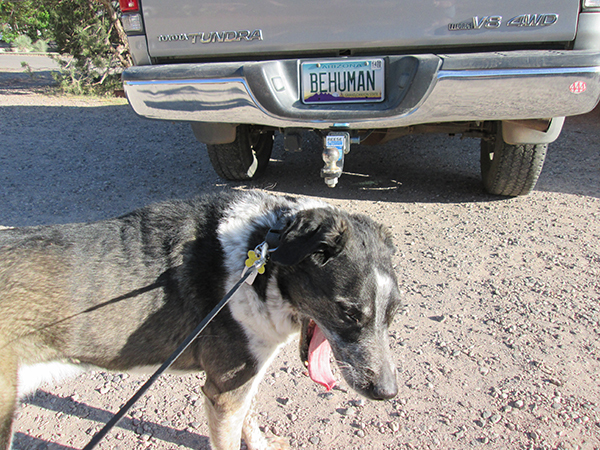 Epicaldragon, most of the humans I know are pretty cool but I think they should honor dogs on their license plates too. That sounds like the best license plate yet. Thanks Patrecia. I love you too. I like that Kimberly. I think I’ll get my person a license plate that says that. Lily & Edward, I’m with you on that one. BDog is good. 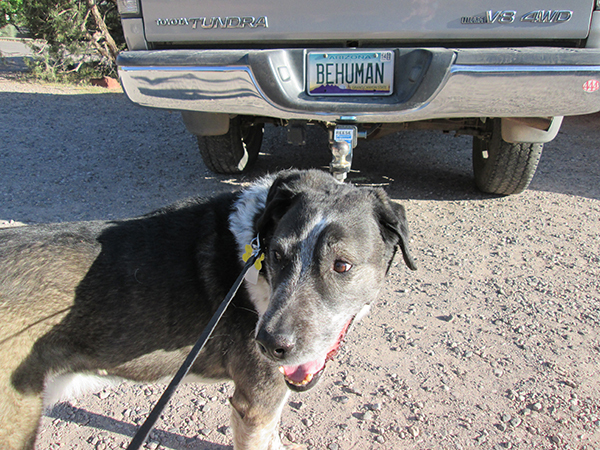 Frankly Bongo, I think humans are silly to pay extra for a license plate with a message. I bet they could get a sticker for cheaper, but that’s just one human’s thinking. Diane and Lola, I guess that’s why my person doesn’t get a license plate that says Bongo. I think she should do it but she says it would cost more. Better to spend the money on cookies Bongo. Being human is nice, but I totally agree with you, B. Being Dog is much better. Cupcake, if all the humans would be a little more dog this world would be a better place. Marina, maybe I should put some paw prints on their car. Being a guinea-pig is awesome but if whee had to change, a dog would be next on our list! Pigs, being a dog is way more fun than being a human. Noooo! You sholdn’t listen to the sign….Being human doesn’t sound interesting…they have to be trained by us doggies before going for a walk! Kevin, I bet they got lost on my trails. Humans seem to do that a lot. Koltyi, the world would be a better place if everyone was more canine.